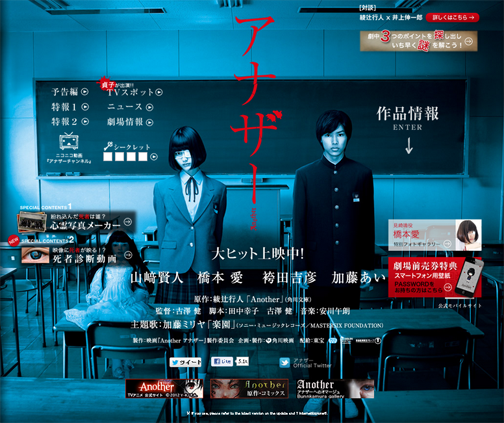 The story takes place back in the Spring of 1998 at Yomiyama Kita middle school where a transfer student named Kouichi Sakakibara arrives from Tokyo and finds himself in a class under a curse which causes unavoidable death. It seems to be linked to the death of a student in 1972 but a code of silence has developed amongst pupils and teachers past and present. When classmates begin to die Kouichi finds himself drawn into the deadly curse with only the silent and mysterious Mei Misaki seemingly able to give answers.